I had brought out in my earlier blog on CWG that the day these games are over the deals done by members and the OC of the Organising Committee of the Commonwealth Games will be probed. Scintillating dances, laser show and a musical extravaganza on Thursday night marked the finale of the Commonwealth Games. The fourteen bands of the Indian Army gave a splendid display of music and their marching was excellently synchronised. The fireworks outside and the sounds of music inside the Jawahar Lal Nehru Stadium had barely died down, when the Officials in the office of the Comptroller and Auditor General and the Central Vigilance Commission began the assessment of the cases of corruption relating to the arrangements of the Commonwealth games. India had stood second in the medals tally with a total of 101 medals in the Commonwealth ganes which their highest ever achieved. India’s gold medals tally stood at 38 medals which is the highest ever achieved by them and stood second behind Australia who have won a total of 177 medals. News media in other countries are sceaming ‘Call the games off’ and players from a few countries have refused to participate citing filthy conditions and lack of infrastructure facilities. Athletes are due to arrive at the Games Village, New Delhi today. More than fifty athletes have withdrawn their names in recent months and it is a national embarrassment as they have refused to participate. 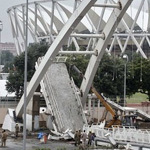 And to add salt to the wounds, the over-bridge outside the Jawahar Lal Nehru Stadium collapsed where in about thirty workers were injured, four of them critically. And now begins the blame game – one calls it bad assessment at the planning stage, others say bad execution. It’s a matter of national honor and pride that we are hosting the Commonwealth Games. 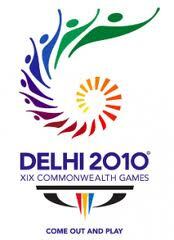 Going by the media reports the Organising Committee of the Commonwealth Games 2010 has left a blot on the India’s image and a lot will have to be done to save the face of the nation. The allegations of misuse of funds granted for the conduct of these Games speak volumes of the inept handling of the whole affair. This has even angered Queen Elizabeth, the Queen of England who is furious over allegations of corruption involving a UK based firm in the baton relay of the Commonwealth games launched in London last year.